It has been known for quite some time that ICT can directly improve corporate performance if it is employed in an appropriate way. There are many stories of how organisations have been transformed by the use of this technology. 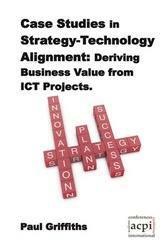 However it is also known that it is not a simple task to employ ICT effectively. Many organisations have spent considerable sums of money and had only very modest returns. This book addresses the issues of how to deliver significant improvements in corporate performance through the use of ICT and it offers different models which can be of assistance to organisational leaders in this respect. 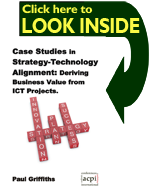 These models are brought to life by analysing a series of real life case studies encompassing both successes and failures in the adoption of ICT, from which deep insights on how to apply this technology for competitive advantage are extracted.